Using powerful ceramic magnets and the same voice coil design as the Vintage 30, the G10 Vintage packs an impressive punch with its 60 watt power handling. Has the fast response of a 10" but with the added vocal tones of a 12" it is an ideal choice to add depth to hollow sounding amps or for players who want added girth from their single coils. 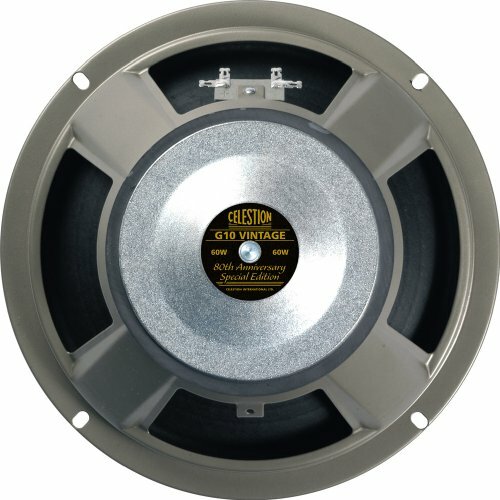 10 inch ceramic magnet speaker available in 8 or 16 ohms. Has the fast response of a 10" but with the added vocal tones of a 12"
It is an ideal choice to add depth to hollow sounding amps or for players who want added girth from their single coils.